Future Mrs. LASTNAMEHERE! Did you recently get engaged and have a wedding to plan? 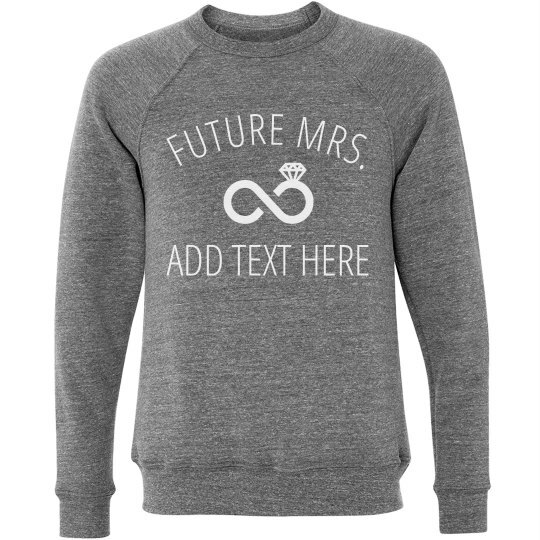 Wear this cute infinity ring sweatshirt to let everyone know you're the bride to be! This makes a great gift for the bride!